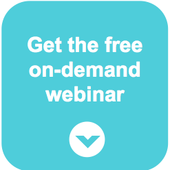 Miss last week’s “Sales & Marketing Alignment: Critical Challenge, Simple Solution” webinar? You can now get a 15-minute recap. “Think about: Why did you purchase a CRM? For me, at my last company I implemented a CRM for a 100+ person sales organization, and I know my mindset was: I want to buy this because if I can just measure what’s happening within the sales and marketing team, ultimately I can motivate what matters. I can understand where I can find areas to help drive and redirect the troops and get them focused on what I think is going to be most impactful and really matter for the long-term growth of the business. So, what we’ve also seen is that the marketing organization has been equipped with some amazing tools, like marketing automation tools and email tools and some really amazing stuff, and that allows the marketing organization to literally see every move that a prospect makes in that buying process and just squeeze every dollar of revenue out of that buying process. It’s great, wonderful stuff that’s making a huge impact on the industry, but the issue that we see is as you kind of nurture and build those up, you pass them over to the sales team, and the sales leadership is left with spreadsheets and whiteboards and maybe Salesforce reports. That doesn’t cut it. It doesn’t allow them to fully leverage what’s possible or to directly motivate their teams. Or even more commonly, there’s just using the weekly sales meeting to talk louder or more often about what’s important and where you want people to focus their time. Leads come in and they get stale because they’re not contacted or they’re not contacted enough. Customers maybe aren’t getting invited (or those top prospects) to that annual customer event, or maybe it’s a regional event, or even a webinar like today’s. Lead data isn’t being updated properly. Feedback on lead quality isn’t being shared back to the marketing team so they can keep tweaking the process. Download the 15-minute webinar to get the full story on the alignment challenge, and find out what you can do about it! Check out this 15-minute webinar recap and learn how you can promote sales and marketing alignment.